I have two circuits and want to on/off the supply of other circuit supply with one. I don't want to use a relay because of the dimension. 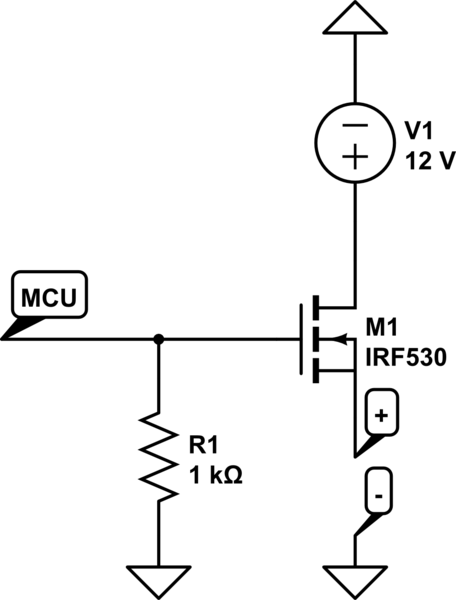 What can I use for this implementation such as a mosfet, optocoupler or ssr? Other circuit needs around 3A. M1 is acting as what is called a high-side driver and it is also a source follower. Because it is a source follower, to adequately turn-on that MOSFET you need the gate voltage to exceed 12 volts by a few volts. If you look at the data sheet for the IRF530 (the one used in your circuit) you will see that it has an on-resistance of 0.16 ohms typically at a gate-source voltage of 10 volts so, this means that gate voltage has to rise to 22 volts with respect to ground to adequately turn on M1. Even then you will drop 0.48 volts when the load takes 3 amps. The general idea is right (if you have the ability to drive the gate as high as 22 volts) but possibly the MOSFET choice is weak. You should also be aware that a MOSFET never switches off to infinite resistance and might keep a low power circuit ticking-over when you didn't expect it to. Also be aware of inductive loads and use a reverse diode across the load terminals. I use the circuit below that is activated by a digital output of my microcontroller, 3.3V output. When SIGNAL = 0V OUT = 0V. When SIGNAL = 3.3V OUT = 12V. With a low impedance of MOSFET. If you want a high-side switch, then a P-channel MOSFET is needed; you have drawn an N-channel. To turn a P-channel on, you pull its gate low. To turn it off the gate is taken high, to the supply voltage. MCUs generally have 3.3V or 5V output. 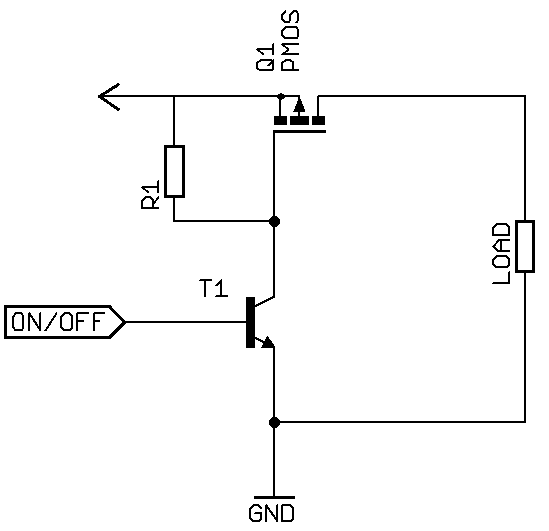 A buffer, can be as simple as NPN transistor with collector connected to Gate and a pullup resistor to 12V, can be used. Just the way Eduardo drew it up. anything wrong with using a solid state relay to trigger a magnetic relay? Anything else required for safe low side MOSFET switch?